Work has always been greatly esteemed in the Cistercian tradition, since it gives the monks the opportunity to follow in Christ’ footsteps and share in His Divine work of creation and restoration. This sometimes hard and redeeming work provides for our own livelihood and for our care of the poor. Here at Saint Joseph’s Abbey we have three major industries in which most all of the monks participate. In the autumn of 1954 the monks who worked in the Abbey herb garden decided to make a batch of mint jelly. The mint had been abundant that year, and they wanted to put it to good use. Their homemade jelly was sent down the hill to be sold at the Porter’s Lodge. The response was enthusiastic. 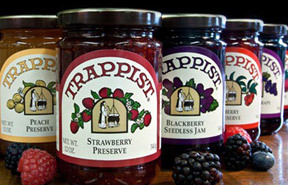 Soon the brothers experimented with other varieties of fruit and wine jellies, jams and preserves. And there were great hopes that jelly-making might prove to be a successful and compatible monastic industry. The Founders of the Cistercian Order are said to have described themselves as pulchritudinis studium habentes – those intent on Beauty, the Beauty of holiness, the Beauty of God. 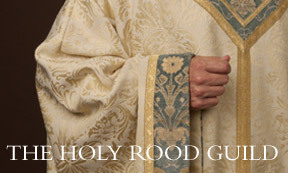 For over fifty years The Holy Rood Guild has been creating vesture of beauty and distinction to fittingly express the reverence, love and devotion which the Church brings to her celebration of the Sacred Liturgy. 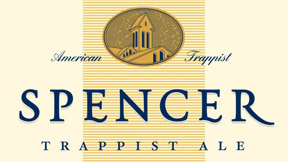 Trappist communities observe the counsel of the Rule of St. Benedict, a 6th century guide for monastic life, that stresses the importance of ora et labora or “pray and work.” Monks are encouraged to be self-supportive and offer charitable assistance to others by producing and selling goods to the public. We believe that our brewery project will be a successful and compatible monastic industry.